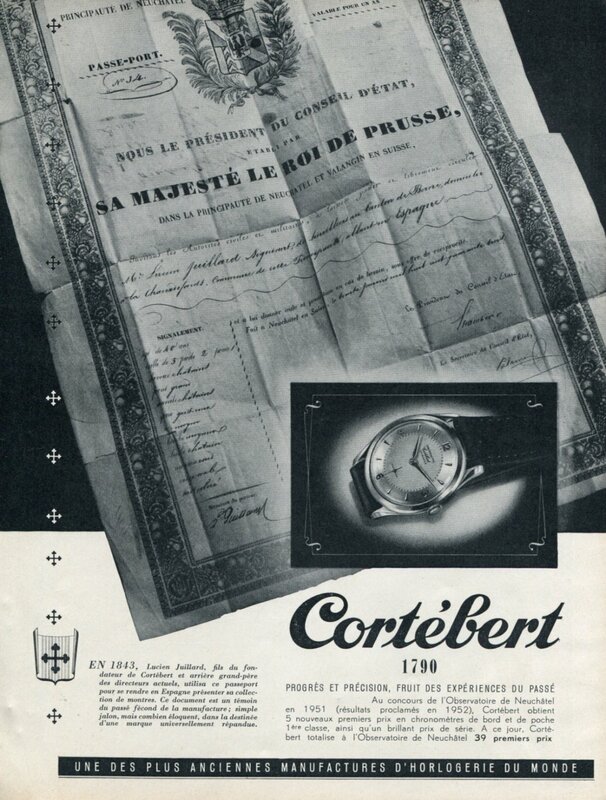 Original full-page Swiss magazine advertisement from the year 1952 for Cortebert Watch Company. The advertisement was carefully removed from a Swiss magazine. Main text on the page is in French.